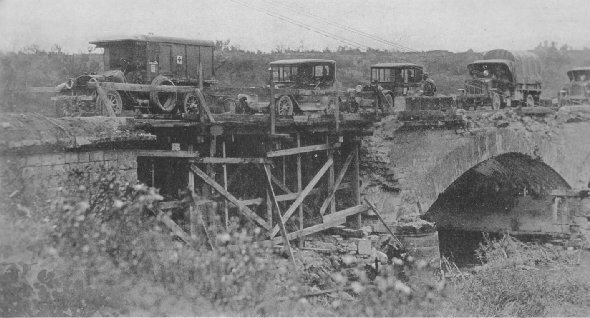 American motor-driven vehicles and other traffic crossing a bridge hastily repaired by Companies A and E, 103rd Engineers, 28th Div., Boureuilles, Meuse, Sept. 28, 1918. Property damage in France amounted to $24,000,000,000. 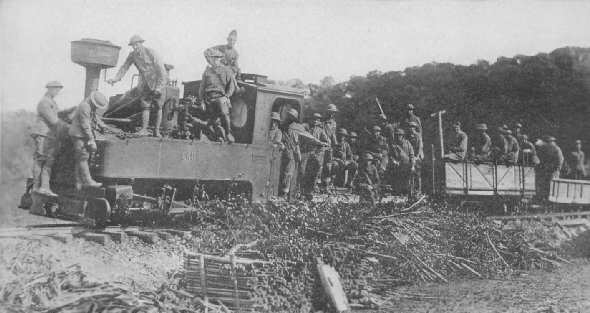 This engine, captured from the Germans by Americans, is now manned by Yankee engineers. Though well organized, so hasty was the retreat of the Germans that millions of dollars worth of war materials were left behind.